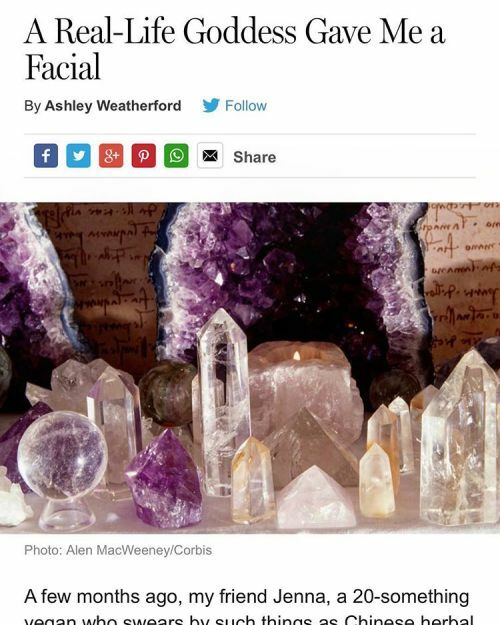 Healthy skin begins with a healthy spirit and Beauty Editor, Ashley Weatherford, received the Goddess of Skin’s skin care services recently and shares her experience in this review. We were featured in New York Magazine! Beauty Editor Ashley Weatherford really got the “chi” of the treatment I gave her and was pretty spot on with her review! I am forever humbled to receive such sterling editorials and even more grateful to work with incredible clients open to receiving blessings while I heal and revitalize their skin. Providing treatments for clients like Zoe Kravitz, Cara Delevingne and Marisa Tomei gives me such joy and these women are truly natural beauties committed to taking care of themselves, daily. Beauty truly begins on the inside and creating harmony between the skin and the spirit is my life’s work. Thank you Universe!